Does even HE think it will make a difference ? When I was in Germany on business I had a lunch conversation with a German gal married to a German man. She confided in me her dream as a young woman was to marry an American farmer. So she applied for the American Au Pair program. She not only didn't meet farmers . . . she didn't meet 'her kind' of guys. How do I post up photos on this site? Was thinking the exact same thing... yet another fascinating 10 page thread about a jacket. "it's a show about nothing"
I'm glad that that got cleaned out of my thread. Actually I got a few things to say about Georgian virgins, as it is the norm here before marriage. Also I got to get around to answering your last post. I have to be careful buying Georgian meat. A lot of beef is tough to eat. The hamburger doesn't stick together too well. My plan is to find a source of meat and eggs from farmers outside the city. I want the grass fed and free range meat and eggs for their healthy omega-3s. Yep heard of Georgians going for a little surgical rebuild before wedding day and back door doesn't count. Really I'm not that concerned big fuss about nothing to my mind. ahhh, the joys of having daughters who understand the value of "pleasing their father"
pizza delivery to the man cave, coming right up, would you like extra Parmesan? You are at it, AGAIN ? I've only had two Georgian foods - sulguni, a Georgian cheese which in Soviet times, was produced in Ukraine (even Georgians said the Ukrainian version was better), and kharcho, a traditional soup. Both are excellent. Georgians seem to like their meat on skewers.. I like Ukranian produced horse sausage so sweet and tasty. I refuse to eat sausage in Ukraine. Too many bad reports.
" Too many bad reports." It has nothing to do with their effects. I'm referring to what is put in them. Same reason I won't eat some sausage brands here. One of our "couples" friends: an Armenian raised in Georgia, she a Russian raised in Mongolia. They met in the US 20 years ago. She likes to cook. Dinners at their house are a fascinating mix of tastes, adopting the cuisine of all three countries. I can not remember the names of specific dishes, and most are vegetarian. All I do know is that I prefer those originating from Georgia. So Maxx, you are in a good place. 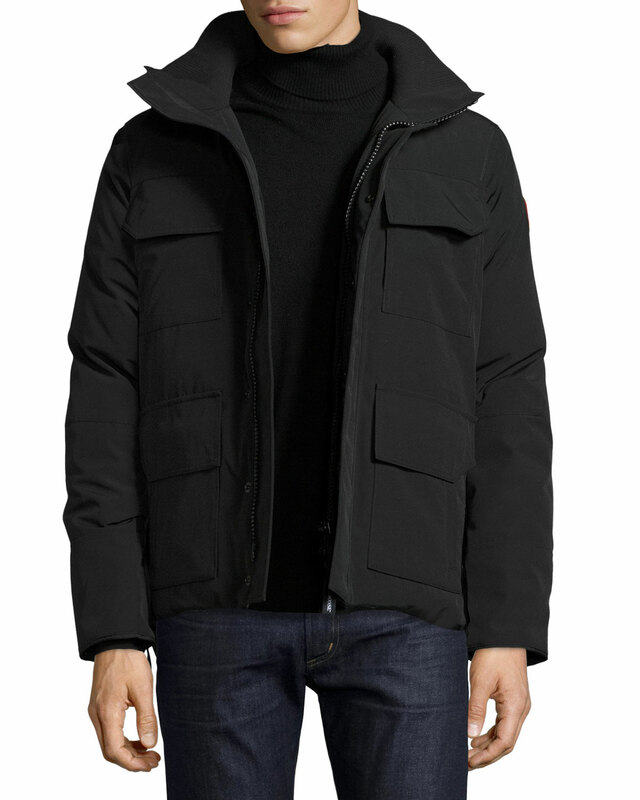 The Canada Goose brand of jackets is a status symbol among the "in crowd." Such status that several coat owners have been robbed of their jackets at gun point. Ok Everyone, here is a link to the Blue Jacket I bought with girl in Kiev in the previous year, the photo is a little blurry but you'll get an idea of what it looks like, what do you guys think? Thanks for the input Gator, for me its not an easy one. I don't really want to join the 'trendies' as I don't wish to spend out big bucks on clothes long term nor join that group its just not me. On the other hand I do see there is a need to be stylish and that decent looking clothes come at at least a certain price. So Im guessing I want to go more mid range than this, the thought of losing an item of property that costs a few hundred pounds to a grand or more a time doesn't thrill me, lol. I also don't want to attract materialistic girls as long term I don't see that they would do me any good/be any good for me. So I guess what I am saying is that I want to dress in a style of clothes that looks good on me, adds to my look but not just be a walking fashion label with stuff bought just for the sake of the designer label. So probably not an easy course to chart; I think its going to have to be one I think over in terms of how I'm going to go about it to get it right. Just buying any real expensive coat for me and saying 'job done' I don't think will help me in avoiding the materialistic girls I hope to avoid this time around. Gator gave you good advice. I like that jacket. It has class without looking pretentious. Ilike the Jacket too that Gator posted up. It would be around £800 with shipping though for me plus I would need it in a large size. Also its not necessarily the sort of jacket you would wear to the restaurant. Even posing for photos for my profile page I'm not quite sure. I decided last night that I would go for style of an item an avoid too much expense, some style of course comes with a certain expense and that's fine. I don't really want to go to the expense such as we have here as it could attract the sort of girls I wish to avoid merely because I fitted in with their materialistic visions. Now I don't mind that a girl likes some nice dresses but if it all just the most expensive brand names all the way then that girl is really not for me. That's really the best way I can see of navigating this clothes fashion situation.